Latte Love: Another ring for my finger? Ever since sporting my engagement ring for the last 9 months, I've become attached to the feel and look of rings on my fingers. Generally the only jewelry I wear is my wedding ring set and a pair of earrings...until I found this Etsy shop. 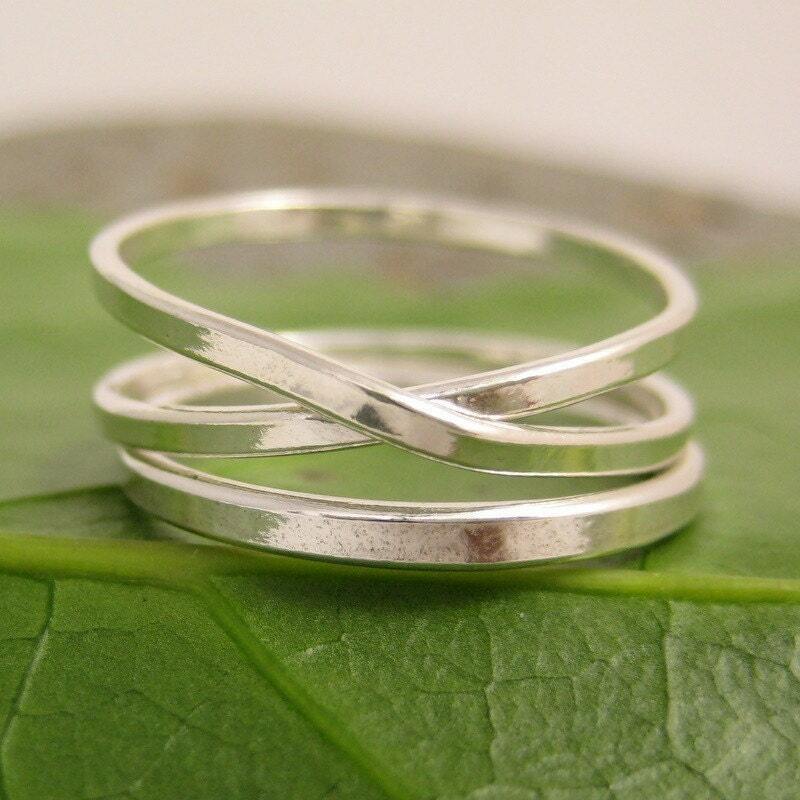 This couple sells handmade rings, bangles and earrings [from Hawaii!] and I'm drooling over them....I would love add the hammered band or the infinity (the 2nd photo) to my jewelry collection! What are your favorite Etsy jewelry finds? Aloha Katie! 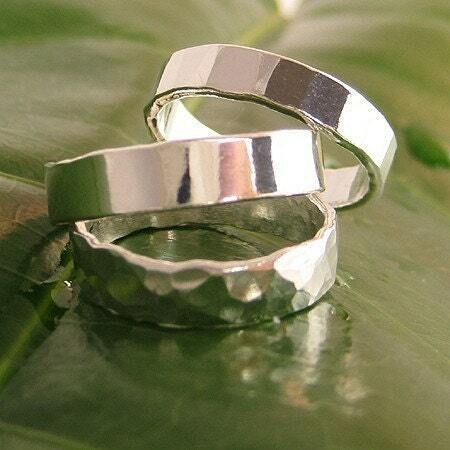 Thank you so much for finding our rings!